Christmas is a time of giving and it’s a time when nature often provides gifts in abundance. 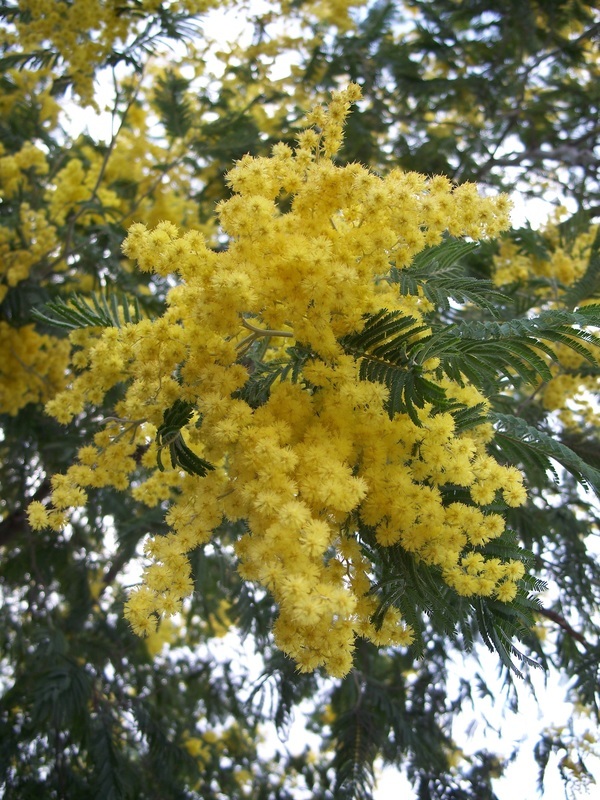 Wattle trees are one of the most generous bearers of gifts and occasionally around Christmas the harvest is nothing less than a windfall. I remember collecting Silver Wattle seed pods on a very hot and dry summer afternoon beside the Pollocksford Bridge and I could have filled the back of the ute in 30 minutes. The year before there was no Silver Wattle seed to be found anywhere. An added unexpected Christmas bonus this day was a feast of perfectly ripened juicy apricots from a wild tree about a kilometre further up the Barwon River beyond the Silver Wattles. 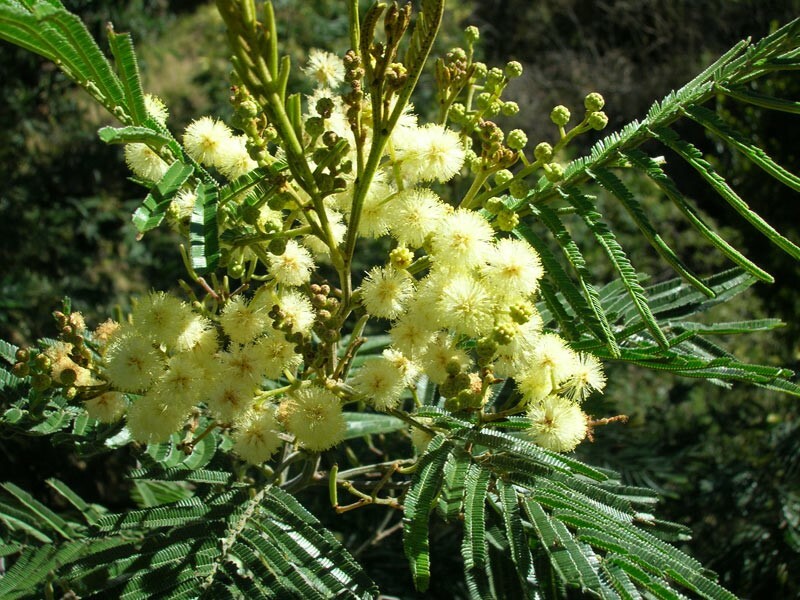 Acacias in the Geelong region are diverse, varying in size from small shrubs to tall trees. 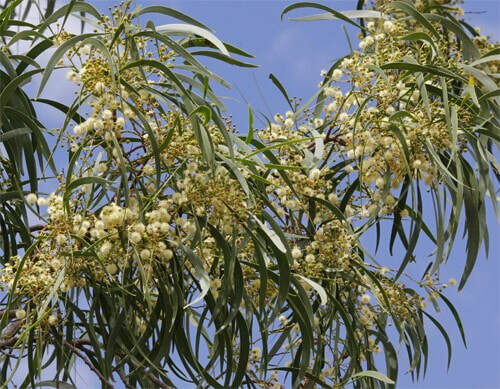 The tallest of the wattle species is the Blackwood and like the Silver Wattle they can be found along river Banks and are a notable feature of the Barwon River. Taking over 100 years to reach a full height of over 15 meters locally and up to 30 meters in the Otway Ranges they are a well loved hardwood timber tree, used for making high quality furniture. Away from waterways on the slopes and hill tops there are two understorey wattles that are dry country specialists, the Black Wattle and the Lightwood. 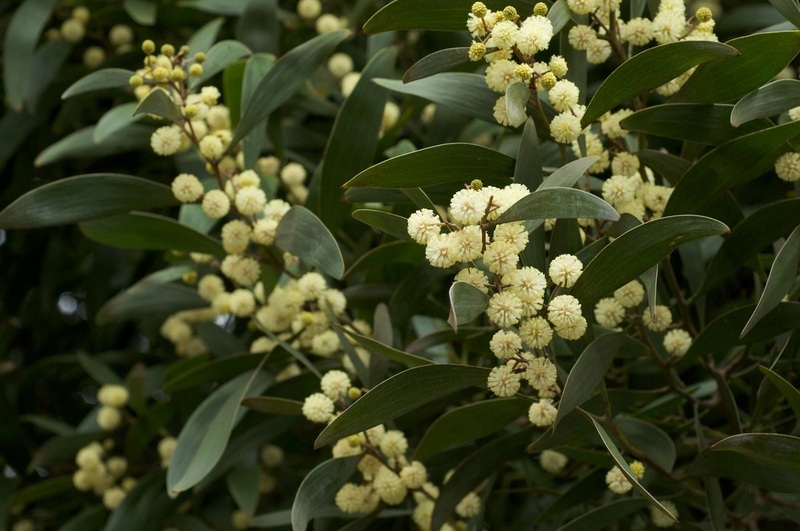 The Black Wattle which looks like a Silver Wattle without any grey in the leaves, is one of the fastest growing of the indigenous trees reaching heights between 2-3 m in twelve months. Unfortunately like many pioneer plants that are fast growing, the Black Wattle may only thrive for 15 years, though sometimes they will live beyond 25 years. Whether short or long lived it produces very hot burning firewood that is easy to split and perfect for cooking a pizza in a wood fired oven. ​The Lightwood is a beautiful hardy small tree very like a Blackwood in appearance but with greener sickle shaped leaves. 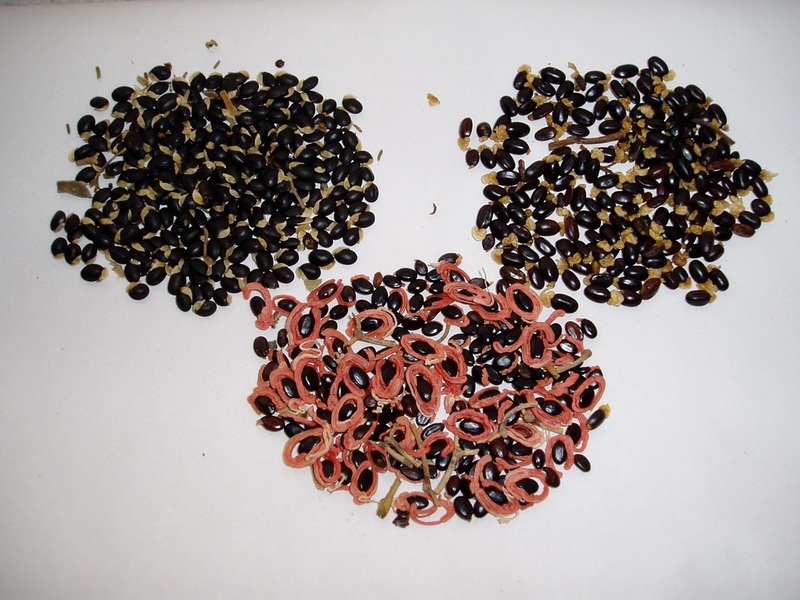 The distinction between these two wattles becomes clear when they are setting seed as the seed on the Lightwood lacks the distinctively orange aril (connects the seed to the pod) of the Blackwood seed. The Lightwood can live beyond 50 years and still survives on roadsides and stony barriers, though it is becoming rarer. ​Small birds benefit from the dense shelter provided by all these larger Wattles and importantly they are a source of food for arboreal mammals like the Sugar and Feather Gliders. These animals scratch the trunk and lick the protein and carbohydrate rich sap that oozes from the wound. These beautiful marsupials place their own personal scent on the wattle trunks to inform other gliders, that are not immediate family members, that they should move on and find their own wattle tree. 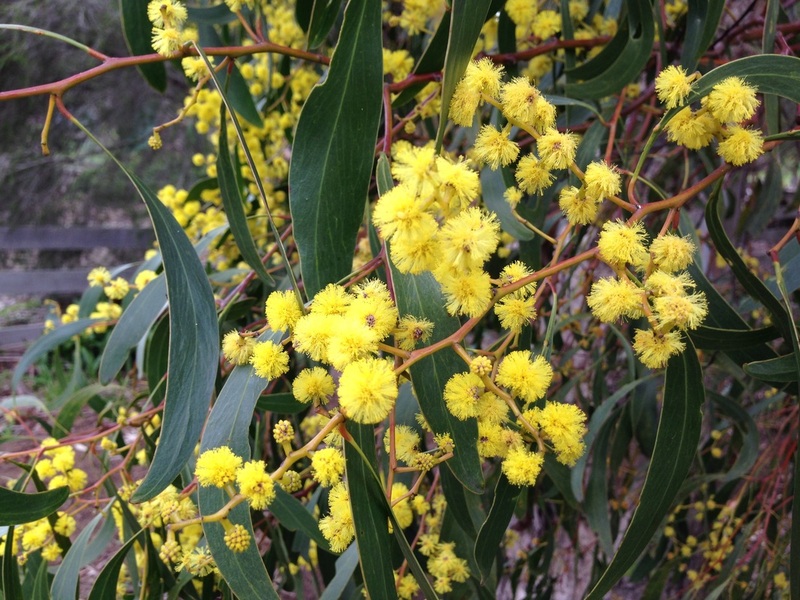 The list of tough local acacias wouldn't be complete without Australia’s floral emblem, the short lived Golden Wattle and the maligned Hedge/Prickly Wattle. Both are quick growing and provide beautiful displays of pollen rich golden flowers in spring. The Hedge Wattle is hard to match as a fortress-like shelter from foxes and cats for small birds like the Superb Fairy Wrens that we love to see and hear in our gardens. Australia's floral emblem. A fast growing tall shrub to 5 meters. Important pioneer plant that provides quick shelter. Lives 5 - 10 years and helps establish the ground layer in sustainable biorich plantations. Unsuitable for narrow plantations because of its short lifespan. Small shrub that grows from 1 - 2 meters tall. Taller forms were introduced from Kangaroo Island to plant as stock proof hedges in the early 20th century. The local form is smaller, growing only to around 1 meter. Its sharp thorns and beautiful flowers present the paradox.